I admit I never read the book but have always remembered the title: Do What You Love, The Money Will Follow. Oh, how I wish that were true for a writer! But unfortunately, it isn’t. The reality is that most writers cannot make a living on their writing. They have to take on noncreative writing jobs like technical writing or work another job entirely and write on the side. This is as true now as it has been since time immemorial. But still, deep frustration persists within me. When a person trains as a nurse, they can make a decent living with nursing. When a carpenter trains in their profession, they can live on their earnings. So it is with a chef. And on and on. But a writer, whether they receive a degree or learn through intensive studying, cannot make a living on writing. And as with all other professions, writing involves years of practice. Writers have to spend time learning the craft and staying on top of trends that interest current readers. In addition, some forms of writing involve legwork and/or extensive research. And for those yearning to make their mark through publication, tremendous obstacles abound. Unless a person is blessed with miraculous good fortune, getting traditionally published normally takes years. Rejection is a way of life in this business. But today, writers are fortunate to have a chance to see their work in printed books through self-publishing. 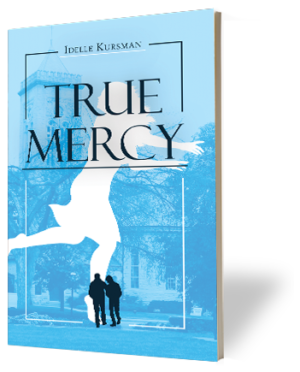 For me, since I did not want to go through the hurdles and years of rejection before getting traditionally published, which is always a big MAYBE, I decided to self-publish my first book, True Mercy. I don’t regret my choice, but many self-published writers do because they are many “publishing services” that help writers with the process of getting an author’s work to publication but they are also scam artists. You can go on the Internet or attend a writers’ conference to find stories of writers getting ripped off, losing the rights to their own work, and filing court complaints against self-publishing services. There are legitimate ones for sure, but if you are planning to enlist the services of one, proceed with caution and do your research. Also, nobody can explain the ins and outs of the publishing world or where to submit a manuscript better than an agent. Yet again, unless a person receives divine intervention or has the luck of the Irish, it normally takes years to find an agent willing to take the chance of representing a writer who is neither a celebrity nor a prominent person with deep connections. So, if your passion and vocation is writing, how can you face all of these tremendous obstacles? In my next blog, I will make suggestions based on the advice of nationally-known writing and book marketing experts. As a struggling writer myself, one piece of advice I will give is despite being overwhelmingly difficult to make a living, don’t give up on your passion if that makes you happy. The joy one gets from writing shouldn’t be abandoned due to the lack of monetary reimbursement. The satisfaction and feeling of accomplishment from composing compelling and/or entertaining literary work that gives pleasure to others has its own rewards. True Mercy 2017 Winner in The Wishing Shelf Book Awards! My novel True Mercy was a Red Ribbon Finalist in The Wishing Shelf Book Awards. The books were marked according to EDITING, THEME, STYLE, AND COVER. Like everything else, there are ups and downs to being a writer. While I experience much joy getting my thoughts down on paper, there are many instances that I have to write for free. How many professions require one to work for free? Writing even a short article requires a lot of time and attention to make the writing the best it can be and then one has to polish it up before it is actually finished. What often happens is my hard work goes unrewarded and my spirit sinks to the point where I cannot find a flow in my words. What is the point of all this hard work if nothing comes of it, I’ve asked myself. Many times.I wish I was good at something more marketable and practical. In the midst of this negativity and pessimism I realize I need to take advantage of resources to boost my motivation and inspiration. That’s why I signed up to attend a writers conference. I registered last December but I could certainly use the boost now. It begins toward the end of this week. When writers get together, I have found they are not competitive but to the contrary, very generous with encouraging fellow writers. They exchange resources, give constructive criticism in writer critique groups and applaud each other’s accomplishments. The speakers offer a plethora of information and tips to help writers succeed. There are pep talks about not giving up, to keep plugging away and eventually all our hard work and the long hours of writing will bear fruit. We may not rise to the level of Stephen King or James Patterson, but each of us will see some success if we just hang in there. The writing life is a long, slow, arduous journey for most. Overnight success rarely happens. I know many writers write in isolation. Many do well, but I personally love being in a writers group. I find the support, advice, and friendship to be invaluable. I often don’t meet others who enjoy writing, so when we writers get together, that time is uplifting. Weather forecasts predict a snowstorm, so I’m just hoping I’ll get to the conference this year. Wish me luck! I just returned from Florida to attend my uncle’s funeral. He was 95 years old and totally devoted to family. He leaves a huge gap for all who knew and loved him. I may write about him someday but right now I am still processing his passing. In Florida, I saw and connected with relatives I hadn’t seen in years. All of us used to live in Rhode Island but now we are spread out in different parts of the country. Of course, we still share our connection as well as beautiful family memories. If only we could all live near each other once again. Fortunately, I keep in touch with many of them through Facebook and feel they are still a part of my life.When I saw my cousins’ children, whom I hadn’t seen since they were toddlers, I instantly recognized them because we share pictures and tidbits of our lives on Facebook. No, this isn’t a Facebook ad. I only want to emphasize how much I appreciate the blessing of connecting with family even though we are all busy and live in different places. Actually, I have been steeped in memories of relatives for the past few years. You see, another uncle has been occupying my thoughts. In my next novel, one of the characters is afflicted with leukemia. This beloved uncle passed away from this disease in 1983 and while writing the story, my thoughts kept turning back to him, his wife, their sons, the sons’ wives and the grandchildren. Memories of family Thanksgivings, cookouts, and other get-togethers have been on my mind. While I was growing up it never dawned on me these days would end and we would all move on to new stages in our lives, no longer having opportunities for visits throughout the year. I cherished these memories while writing, even though my novel has fictional characters that have no connection with my relatives. This is one of the reasons I find writing so rewarding. Though my uncle’s leukemia was a tragedy for him and our family, writing the story has returned me to those days. When we all got together, my sisters and I would take turns sitting on my uncle’s lap and he would shower us with attention. When one of his sons had a daughter, my uncle would light up whenever he saw her and she became the center of his existence. He loved to joke and I remember his wide, generous smile and the good feeling all of us had to be around him. His wife, my father’s sister, was sweet and whomever she was speaking to, she made that person feel they were the most interesting and important person to her. She was smart and talented and always down-to-earth. For years she looked like she never aged. Like her husband, the family was everything to her. In my next novel, I emphasize the importance of family above personal ambitions and individual pursuits. Life with its unexpected twists and turns doesn’t always go as planned and there can be much heartbreak and disappointment along the way. But I strove to make the responsibility of caring and supporting loved ones paramount while on life’s journey, modeled after my own family and relatives. Truly, our memories are what makes us. 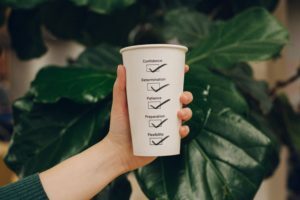 As this year draws to a close, like many people, I am taking stock on how the year went. It was exhilarating to publish my first novel, True Mercy, although there were many snags with the interior formatting. But fortunately, the book was ready by the time of my launch party on January 11th, which is Human Trafficking Awareness Day. I was able to sell 24 books at that launch party, which I’ll always remember as one of the highlights of my life. As my novel was getting published, I kept reading that marketing was even harder than writing the book. At first, I couldn’t believe it—writing the first draft of True Mercy felt like an epic accomplishment. Editing it felt like a marathon, but when the book was published, I finally understood how marketing is even harder. After all, an estimated 1 million books get published every year. The trick is how to stand out. I originally thought writing the best story I possibly could suffice, but I was wrong. Writers have a tremendous task getting their book discovered among all the competition. This is where writer conferences and writing groups are so important: writers need resources and ideas on how to get their books discovered. It is not a job a writer can accomplish alone. I am grateful for the family and friends who came out to support me, bought the book and told others about it. I have also become immersed in support groups for the prevention of human trafficking because it is a much larger and growing problem than I ever realized when I wrote a story about a young woman from Moldova who is kidnapped and escapes from a human trafficking ring. Also, as difficult and challenging it is to have a child with autism, I hope my focus on the sweetness and innocence of the 18-year-old with autism in True Mercy gives families and caregivers a reason to appreciate those inflicted with this neurological disorder despite the hardships. In 2018, I plan to continue to seek help and advice on marketing my novel while working on my second one. Marketing True Mercy has been trying, yet I’ve been making progress the more I learn. 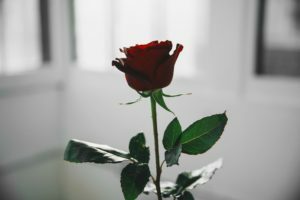 What I must keep in mind, as everyone who faces a new challenge, is not to give up—however difficult it is, luck can always change and the rewards can be just around the corner. Wishing Everyone a Happy, Healthy, and Successful New Year! Subscribe to receive my quarterly newsletter and special updates about my writing.